Friday changeover – out of main season, flexible start and finish days are possible. 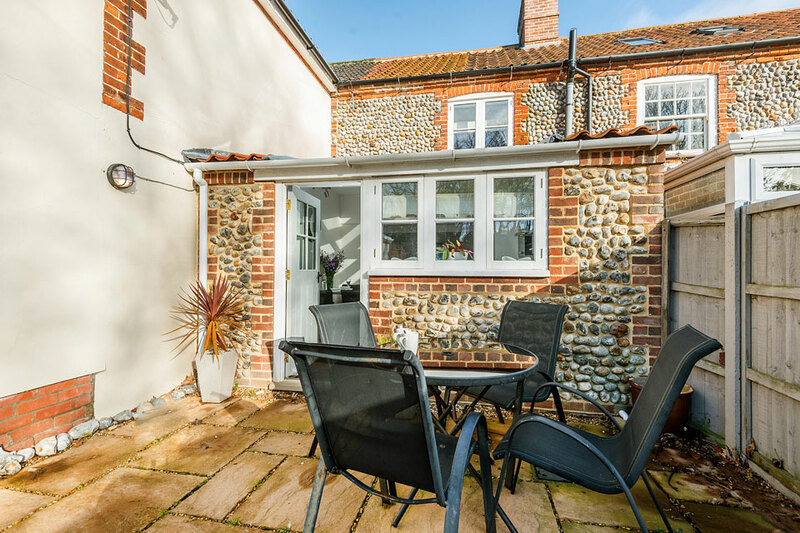 Situated right next to Rectory cottage in Overstrand, Beach Retreat is another beautiful example of a typical Fisherman’s cottage built around the turn of the 1800’s. 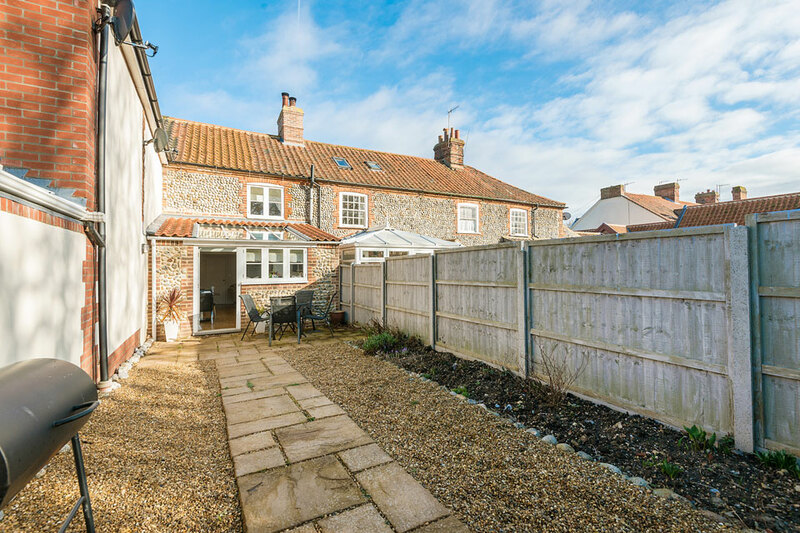 Ideally situated in the heart of this historic Norfolk coastal village you are within easy reach of the beach, shops, pubs and restaurants. 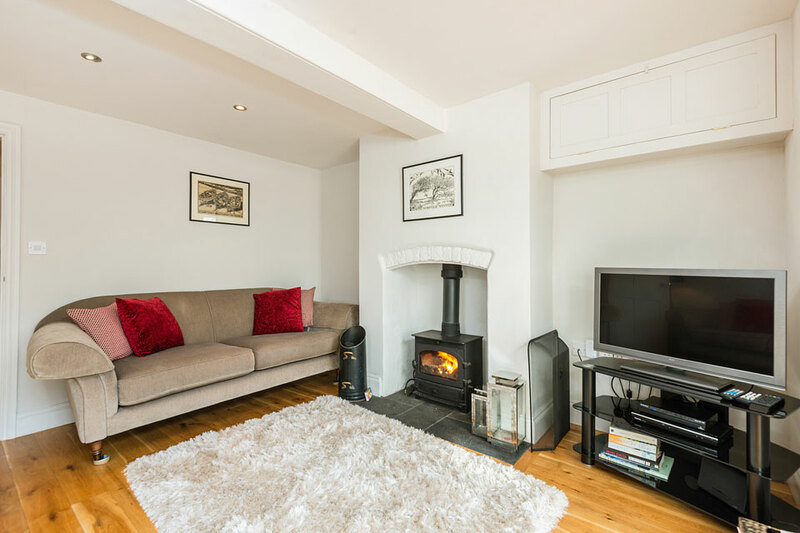 Being so close to Rectory cottage makes these two properties the ideal choice for larger parties or two families holidaying together – close enough to be cosy and convenient but with the advantage of having your own living and sleeping space! Entering through the small, traditional brick and beach flint front courtyard the front door opens into a handy little white & blue utility room which was once the tiny kitchen for this working cottage. 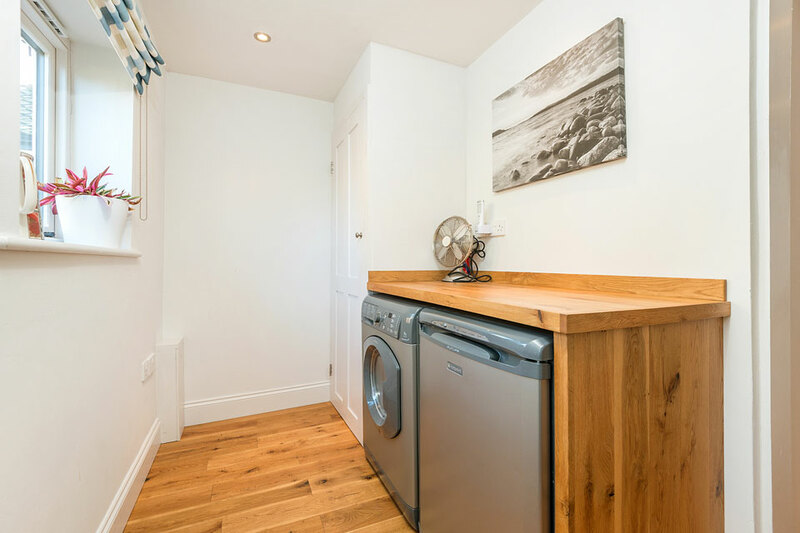 As well as a handy space for leaving hats, coats, buckets and spades this also holds the cottage’s freezer and washer/dryer. 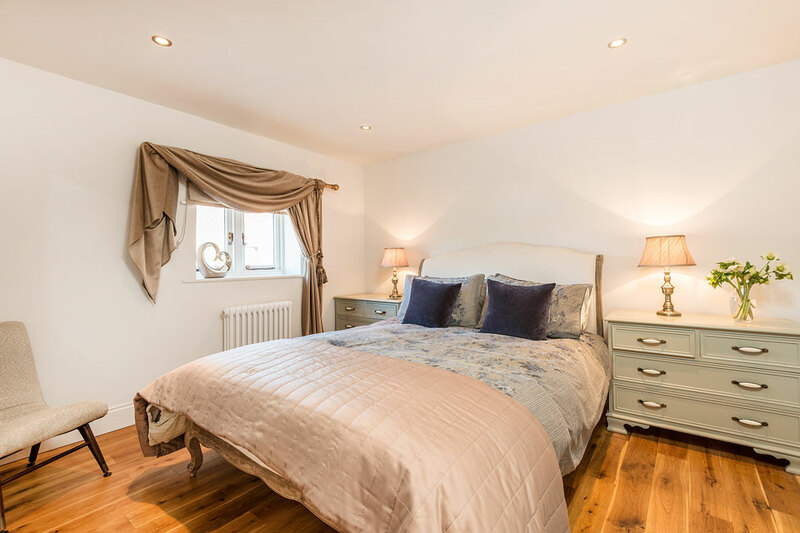 There is warm, attractive oak flooring throughout. 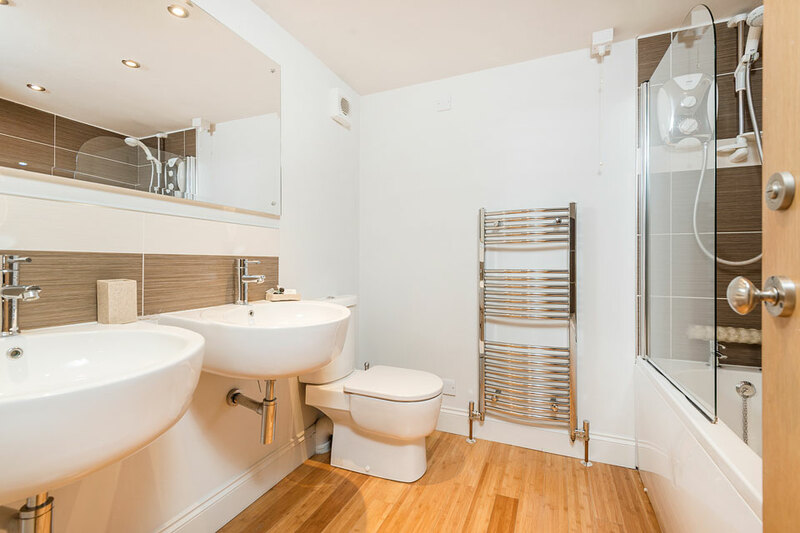 A freshly redecorated family size bathroom is located off the hall and features twin washbasins, W.C, a large stainless steel radiator/towel hanger and modern shower over bath combination. Beach Retreat’s comfortable lounge is a welcoming space – well appointed with two, 3-seater Regency green sofas and cosy hearth rug. The lounge also features a 32 inch HD TV complete with FreeSat and DVD player. 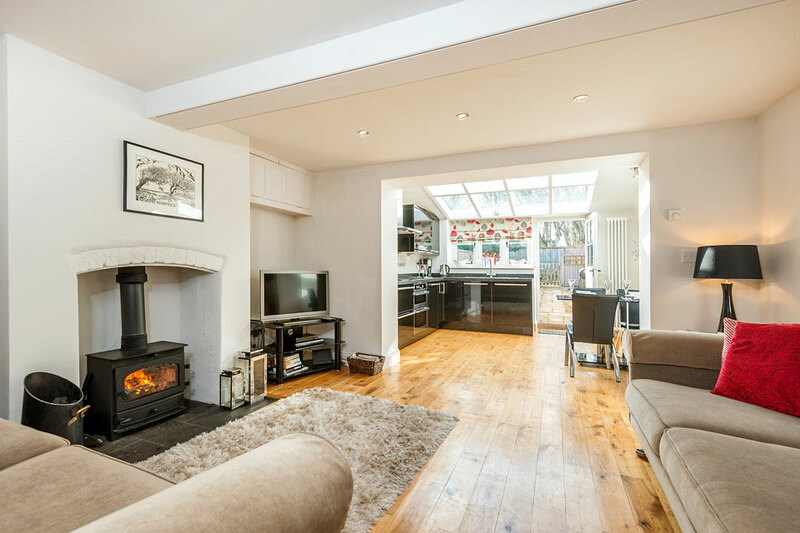 Although the cottage is fully centrally heated there is an additional multi-fuel stove in the hearth framed by two traditional style storm lanterns – even on a temperate Norfolk evening it might be hard to resist basking in the fire’s rosy glow. 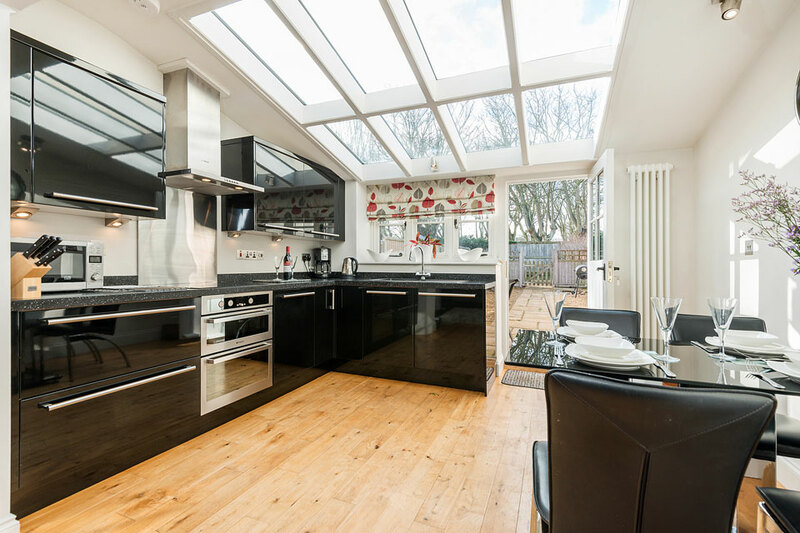 Moving through the lounge brings you to the sunny, open plan, modern style kitchen. 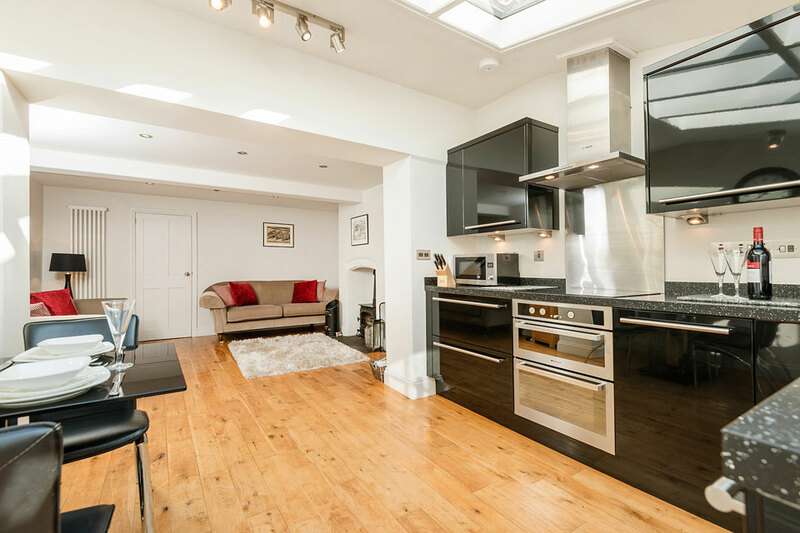 Easily large enough to cater for 4 people the fully fitted kitchen comes complete with a double oven, ceramic hob and overhead extractor hood, as well as dishwasher, fridge and granite resin sink. 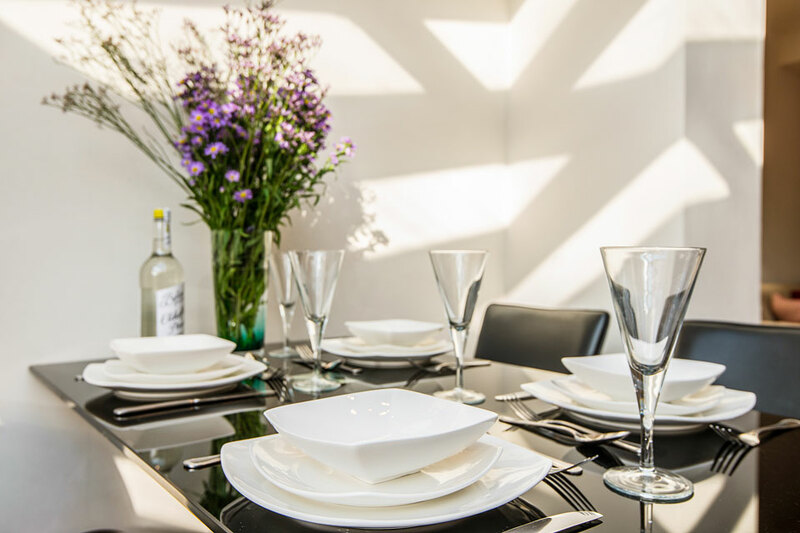 The sleek modern theme is carried over to the matching contemporary family dining table and chairs. The kitchen back door leads out into the pleasant, Victorian style cottage garden with car parking beyond. 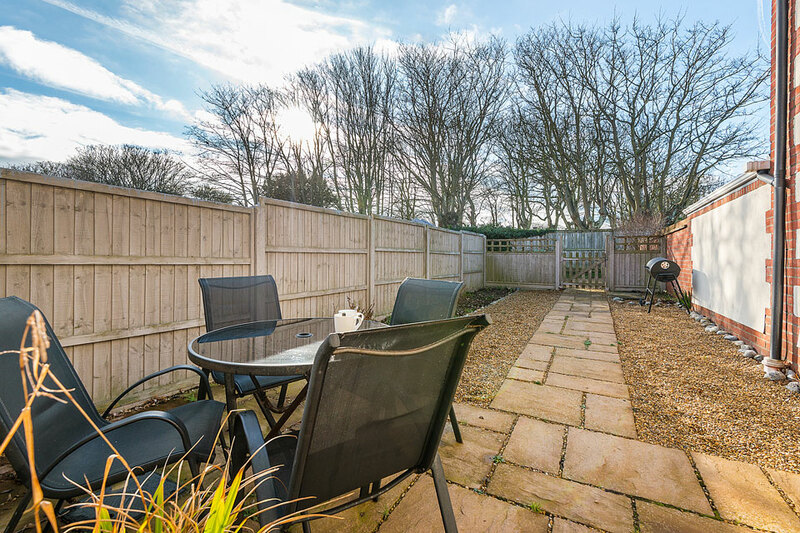 Here you’ll find that the owners have thoughtfully provided quality outdoor dining set complete with BBQ – just the thing for alfresco style dining with a glass of wine on a balmy summers evening! 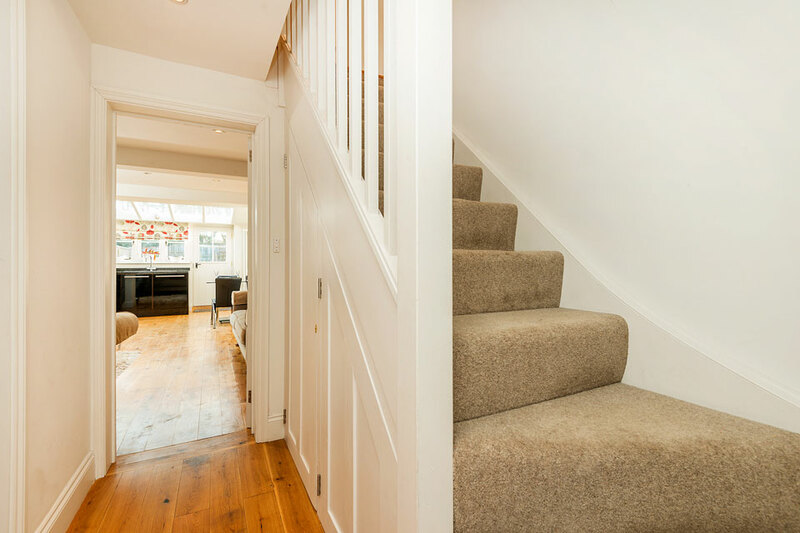 Moving up the cottage style staircase takes you to the property’s two bedrooms. 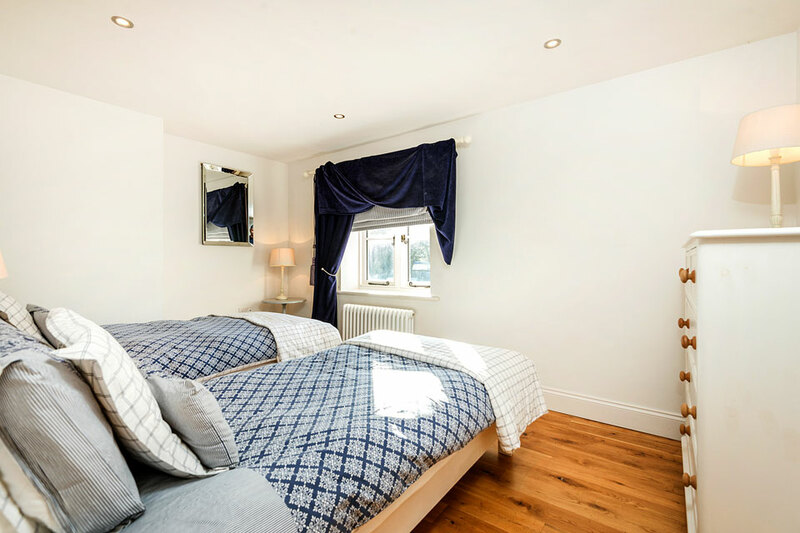 The first is attractively decorated with a King-size, Louis style bed together with oriental bronze and blue bamboo pattern bedding, a cupboard wardrobe, chest of drawers and elegant drape curtains over the traditional latch windows. 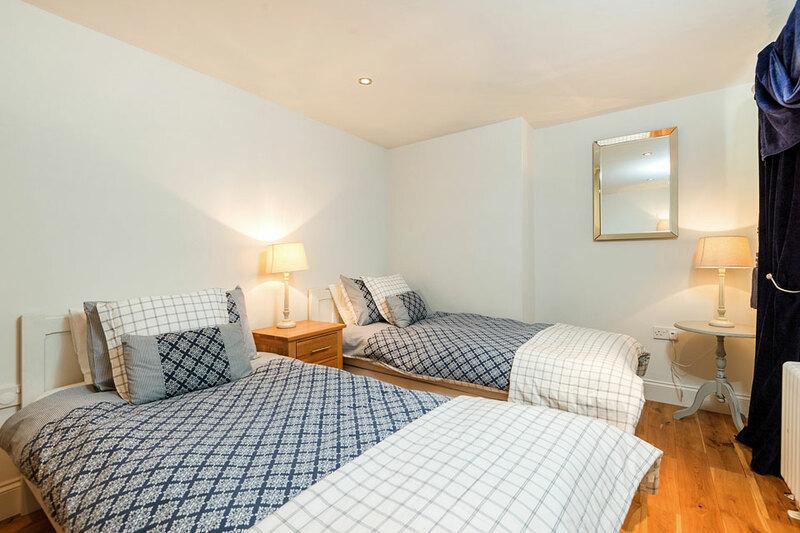 The second bedroom, with its attractive blue & white colour scheme, features comfortable twin beds which are easily reconfigured into a super King-size bed, if required, and a lovely view out over the garden. Adequate storage is provided by a the inclusion of an oak chest of drawers and wardrobe. We do welcome one dog in Beach Retreat from October – May only, please see our terms and conditions.